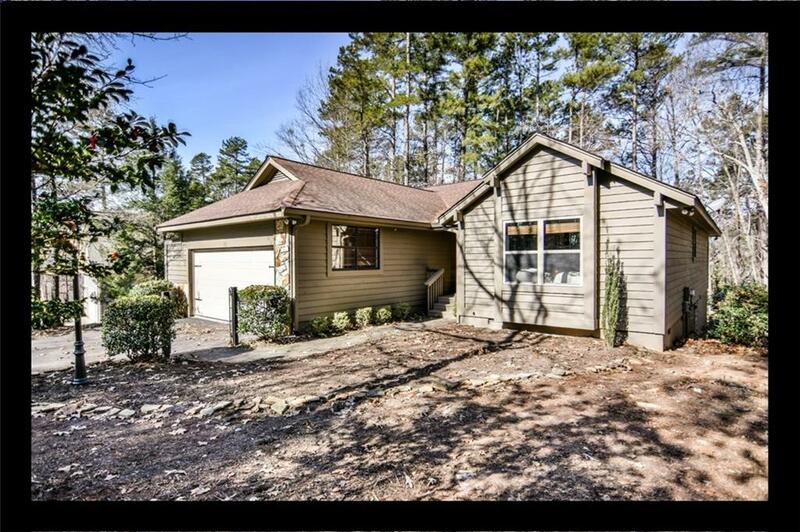 This is your opportunity to be in the premier gated community of Keowee Key. The charming home features one level living as well as an outside entrance to a wonderful finished room that they currently as their workout room. The main level has an updated kitchen, hardwood plank flooring, a great room with a fireplace, the Master Bedroom suite and the 2nd bedroom for your guests. The Sunroom is a true highlight as it is accessed from the great room as well as the Master Bedroom. The room is flooded with natural light. The owners are relocating to North Carolina due to work. Keowee Key is a gated golf, tennis, pickleball community with two private marinas, a fitness center, two outdoor pools, restaurants, walking trails, and a dog park. There is a one time fee paid by the buyer at closing of $2,842. The annual home owners fees for 2019 are $4,235. The information is deemed to be true. Buyers to verify information.